One of the first steps to manufacturing quality food products is ingredient blending. As a leader in food blending services, PacMoore ensures quality and precision. 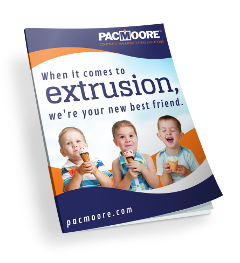 Below, learn more about our contract blending capabilities and why so many companies have come to rely on PacMoore. Virtually any processed food product requires ingredient blending — whether it’s for liquids, powders or pastes. It’s a process that requires attention to detail only the highest-quality custom blending companies can offer. Who Relies on PacMoore for Custom Ingredient Blending? As a leading food blender manufacturer, we work with companies representing multiple food industry sectors. For smaller food manufacturers lacking the capacity or equipment to blend on their own, PacMoore is an ideal partner. We also work closely with ingredient suppliers who specialize in customized raw ingredients. The PacMoore team’s breadth of experience in custom ingredient blending puts us in a position to meet even your most complex blending needs. Plow blending — As a true industry point of differentiation, PacMoore operates four full-scale industrial-size plow blenders. The unique action created by the movement and geometry of these specialized blenders produces a thorough, fully dispersed intermingling of ingredients. An additional option is the use of high-speed chopper blades that enhance mixing by controlling particle size while also providing the ability to introduce and disperse fats, oils and liquids. The result is homogeneous ingredient blending and tremendous consistency. Typical blend times are only one to five minutes. 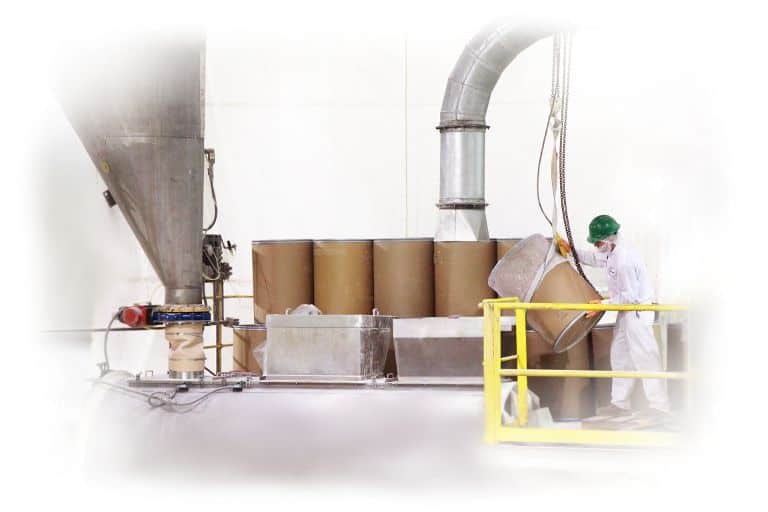 Ribbon blending — If you’re looking for conventional versatility, PacMoore also operates three full-scale industrial-size ribbon blenders that provide counter-directional flow while continuously mixing the ingredients throughout the vessel. The inside ribbon moves materials toward the ends of the blender, while the outside ribbon moves material toward the center discharge. The result is a prize-winning production run. Due to a more gentle and fluid motion and agitation, typical ribbon blending times run between 10 to 20 minutes. Experience makes the difference. At PacMoore, our blending system designs are born from years of experience. Engineered for speed and precision, our industrial mixing equipment ensures homogeneous finished blends and the ultimate in food safety. If you are in need of product development assistance, we also offer pilot blenders (both plow and ribbon) in a standalone pilot lab for test runs and cost-effective validation before you scale up to our full-size toll blending equipment. Whatever your ingredient blending needs, we’ve got you covered. Business relationships matter, too. Importantly, our skilled team of blending professionals is committed to meeting your specifications. From start to finish, our team works closely with yours to ensure you get what you need every time. Contact us today to learn more about PacMoore’s comprehensive ingredient contract blending services, and to find out what we can do for your company. Do you have additional questions for our Blending Department?